Rahul, as we count down to the upcoming series against Australia, the coach seems to be in the spotlight, as much as the team, maybe even more. So as a batsman and as a player, what do you expect from your coach? I think that as a batsman you expect solutions from your coach, I think you expect the coach to tell you what you are doing wrong, why you are doing it wrong, and what the solution is. A lot of people can tell you what you are doing wrong -- what a player needs however is someone who can also come up with a solution. Ideally, the coach should be able to trigger your own thinking, start the thought process going in your mind. Each player is different, as an individual -- so solutions that work for me might not work for the next guy. The coach has to be able to assess each individual, then work on solutions that will work for that player. At a broader level, you want a coach who can get the art of team management right. He has to be able to understand what makes a team work, keeping in mind that each team works to a different dynamic, he has to have a vision, a direction, a goal towards which he expects to guide the team. He has to be clear in his mind about the team, its individual and collective strengths and weaknesses. He has to work on eradicating the weaknesses, he has to get a spirit going within the side. Given that prescription, how would you evaluate John Wright, who coached you while you played for Kent? John is a good man, hardworking, also a good man-manager. He is passionate, dedicated. Kent, the situation there, was different simply because John had more of a say in who to pick, who he wants for a particular role -- the kind of say he may not get with the national team. Also, county cricket is different in that the players stay together. In India, after a series, we all go back to our respective homes, but in Kent, everyone stays in and around Canterbury, so you get more of a chance to interact, you get to know your team mates better. Then again, the pressure on a coach at the county level, to deliver, is much less than if he is coaching the national side. 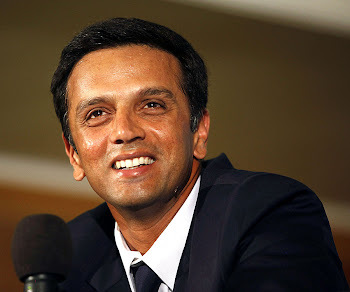 Also, when John was with Kent, he wouldn't have got the kind of media attention, and consequent pressure, that he is going to get as coach of the Indian team. In his playing days, he was not a natural cricketer -- he had to work hard at his game, and to his credit he succeeded in getting the best out of himself. That is a strength, which he now has to convey to the rest of us. For the first time, India is going in for some sophisticated software to aid the coach. Do you think it is going to help? If so, how? And given how slow we are generally to absorb newfangled notions, do you think we will learn to use this in time? Well, if there is anything that can help the guys improve they will take to it like a duck takes to water. Because if there is something that helps you improve your performance and makes you a better player, then why wouldn't you want it? We haven't used it so far, we don't know much about it yet. We only know that other teams are using sophisticated computer software, this is the direction the sport is going. Actually, in that sense cricket as a sport is itself years behind other sports -- in games like Rugby, to cite one instance, computer-aided analysis has been happening for years. In cricket, it is relatively recent, some countries took to it early and have benefitted from it. Does that mean that getting software is the cure for all our ills? I don't think so. But it does make a difference. And the way to look at it is, if it makes a 5 per cent difference to the way we play, even if it makes a one per cent difference, then it is good. I'll give you an example, Stephen Fleming was telling me about how they use computers and how it has helped them. They were watching tapes of South Africa playing New Zealand, and noticed that Gary Kirsten would always step out and hit Gavin Larsen. While watching, someone realised that the shot was predetermined -- that whenever Kirsten opted for the shot, there was a particular movement of the feet before the ball was bowled. In other words, they noticed that each time Kirsten moved his feet in a particular way, it meant he had decided to step out and hit Larsen. So Larsen was alerted -- and the next time he spotted Kirsten moving his feet in that fashion, he bowled the ball a bit wide. Sure enough, Kirsten stepped out, missed, and got stumped. It is a little thing, but it mattered a lot. The New Zealanders have learnt to use it well, so have the Australians and the South Africans. So yes, the use of computer analysis is good -- teams have been using it, and have proved its benefits. Now it is up to us to learn how to use it to the best advantage. You played county cricket last year. What aspect of the county system do you think could be introduced in India, to make our own domestic structure better? I don't think you should look at county cricket and its structure as a role model for us, as something to aspire for. I think the Australian system is what we should be looking at. English county cricket is good enough, but it has problems that are similar to what we have. Too many teams for a country the size of England, for one thing. Then again, the standard of pitches is neither uniform nor good -- initially, the conditions favour bowlers too much, the only difference being that in India it favours the batsmen. Of late, opposing sides appear to have figured out that one way of keeping you quiet is to bowl outside leg, turning it in to you. Have you figured out a counter-strategy? As a player, you always keep learning and improving -- there are very few guys who are brilliant in all aspects of the game. The opposition is always looking for ways to contain you and get you out, and as they spot each tactic and try it against you, you then have to learn to counter it, that is part of your development as a player, it is a constant process. Specifically, with respect to your question, I am not sure that this line outside leg is a problem, as such. The legside is one of my strengths as well, so it is not that much of a problem. Yes, if there is a definite line of attack then I have to think about it. I do have a few thoughts in my mind as well, about how to play that line, which for obvious reasons I am not keen to tell the whole world about. In the end, it all boils down to what happens over that distance of 22 yards. One good thing is we have a few domestic games coming up, which gives me time to experiment and work on a few things. Plus there is also the camp, so it will all be good preparation for the series. To get back to a general question, we keep hearing the word 'vision' these days. What is it all about, and how important is it for a team to have a collective vision? Speaking of which, what is the vision for this team? To take the last question first, the team would like to win abroad, to do well away from home. We have talked about this, and it is definitely something that is high up on our agenda. Another is to be more consistent. In that sense, our team vision would be to be up there, to compete consistently and successfully, like say Australia and South Africa. As to why having a vision is important, it gives you a goal beyond the immediate game, something to work towards over the long term, something to aspire for, something you can identify with. If you have a goal, if you set yourself one, then there s some purpose to your journey. There is no point in going on a journey without a destination in mind. If you are clear about your goal, then you can work towards it -- if you are not, then you tend to get lost. There is a lot of anticipation, a lot of expectation, surrounding this team. So what is this team all about, what is different about it? It is too early to say this team is different. We have had a few good months, but playing Zimbabwe at home is not the toughest challenge there is, to be frank. The young guys have been doing well, players like Yuvraj Singh, Shiv Sunder Das, Hemang Badani, Zaheer Khan, Reetinder Sodhi and Mohammad Kaif have come into their own. So that, I guess, creates a lot of anticipation and excitement -- but then, that is always the case in India, whenever a new kid comes along there is a bit of anticipation. In fact, we tend sometimes to get overexcited about someone, then when he fails, we write him off just as quickly. That is why I don't at this point want to talk of what is different about this team -- the only point I can think of is that it is a young side, so there is scope to grow and learn and improve. You were talking of kids -- well, Yuvraj played two good knocks, and now he has sponsors falling all over him. Is that necessarily a good thing for a youngster just starting off, this instant stardom? I don't think there is anything wrong with players signing contracts or deals if they are in a position to do so. Why not? At the same time they should realise that these deals are happening because of their success in the sport, they should realise that the day you stop doing well, everything else stops. As long as Yuvraj is getting good deals, good for him -- I am sure he realises that he has to continue to do well, or all this will end. No I don't agree with that. This kid came along and played a brilliant knock first up, so everyone expects him to do well all the time. That is not possible, he has had a few bad games which was only to be expected, but everyone is climbing on his back and talking of his ads, which is not fair. That is not the point. If Yuvraj is not getting runs, then people should be talking of what is wrong with his technique, not about the ads he has signed for. Frankly, it is silly to say that because he is popular with sponsors, he is not getting runs of late. He is a good kid, he has exceptional talent and he can be a very special player if he wants it. But that is something he has to work out in his head, and it would be good if he could be left alone to do that. Firstly I have not read the interview, so I don't know what to say. But assuming the quote is true, he is just 19, you can't expect a boy that age to talk and think like a veteran. Young people do make such mistakes -- I mean, wasn't Ricky Ponting arrested in a bar room brawl? It is only in India that we get hyper about these things -- we need to remember that young people will make mistakes, it is part of the growing up process, and a good thing for us to do is step back and give the young time to make their mistakes and learn from them. Tell us how you view Sourav Ganguly the captain? Sourav has been a good captain, he has been quite successful so far with things. He came in during difficult times, and considering that, you have to say he has done a fantastic job so far. He is good with the boys and knows when to crack the whip and when to show character. It's a hard job, being captain of India, there is a lot of pressure. And he can only get better, as he learns on the job. The best part is he is willing to learn, so hopefully he will get even better. What is his strength as a captain? It's a combination of things. He is positive and forthright. He tells you what he wants, what he expects. He knows that when things work out he will get the praise and if things fail he will get the brickbats, so he has figured out that the best thing is to do things his way -- at least he is then directly responsible for results, and can shoulder the praise or blame as appropriate. Some captains tend to think one way, but yield to someone else's ideas -- and then, when things go wrong, they find themselves wishing they had done things their own way. In Sourav's case there is no such ambiguity -- he is boss, he knows what he wants, and he lets you know it, too. ****About yourself -- would you prefer to be remembered as a great batsman, or as a good cricketer? The most surprising thing for me was that till then, I never really believed these things could, and did happen. How does it feel to know you were playing with guys who weren't playing the game fair and square? I would not want to comment on that, to be frank. I have enjoyed my time with the Indian team and enjoyed playing with all the guys, I have learnt stuff from each player, so I will remember them all as great cricketers, as people who achieved much on the field. As far of the rest of it goes, there are so many ifs and buts, so much stuff still flying around. I don't want to jump to conclusions and say anything until the entire picture becomes clear. I was reading this book on my way over, I saw this line talking of a link between sport and the spirit -- is that true, or just one of those lines that simply look profound? It is true. Sport is a spiritual thing. Sometimes, when you are really batting well and you are really as they say in the zone, it is a different feeling altogether, you can lose yourself in it, you go beyond your body, outside it, which I guess is where the spiritual element comes in. How much do these books that you read affect your thinking the way you play your sport. A little bit, not very much. I enjoy reading ... always have, since I was young. At first I used to read all kinds of books, now I read sports books mostly, and autobiographies. It gives you a chance to get outside your own head and into someone else's, to see things in a different manner, from a different perspective. A freak question: do you think the Indian team could ever be like the Chicago Bulls in their prime? I would love for us to be. To be known as the best team in the world. It will take a lot of hard work, but if we find the right guys and work hard at it, why not? I would love to be part of such a side, and even if I could not be part of the side I would love to be able to see it happen, from the sidelines. Speaking of finding the right guys, is there a talent crisis in India? Well there are some good young people coming up...its hard to say, really, I don't think I can answer that. I don't have those either -- there is a busy year of international cricket coming up, so no other plans for now.